There’s a big cake show coming up this September. HUGE, actually. While I’ll be home chillin with my new little muffin (due to show her face any day now! ), I know lots of cakers and bakers will be making their way to Florida this September to check out The Americas Cake & Sugarcraft Fair. The show is being produced and hosted by fondant mainstay Satin Ice. I recently had a little chat with Kevin O’Reilly, the brand’s Ceo & Founder, to get the details for you! We also talk about what he’d love to see done with fondant and a little about his own favorite baking tools. This is the beginning of a new and exciting series here on Erin Bakes! From time to time I’ll be interviewing notable folks from around the cake and pastry world and sharing their answers with you. Next up I’ll be chatting with former White House Executive Pastry Chef, Roland Mesnier. What’s the craziest thing he had to make in the White House kitchen? Which President had the biggest sweet tooth? You’ll have to wait and see! What inspired you to create The Americas Cake & Sugarcraft Fair? What is your goal with the show? I had attended several larger cake shows in places like Europe, Asia, and Australia, where they were pulling in more than 20,000 attendees, and I was constantly asked what the big show was in the America. While the USA has several small regional cake shows, there was no major event dedicated to cake. 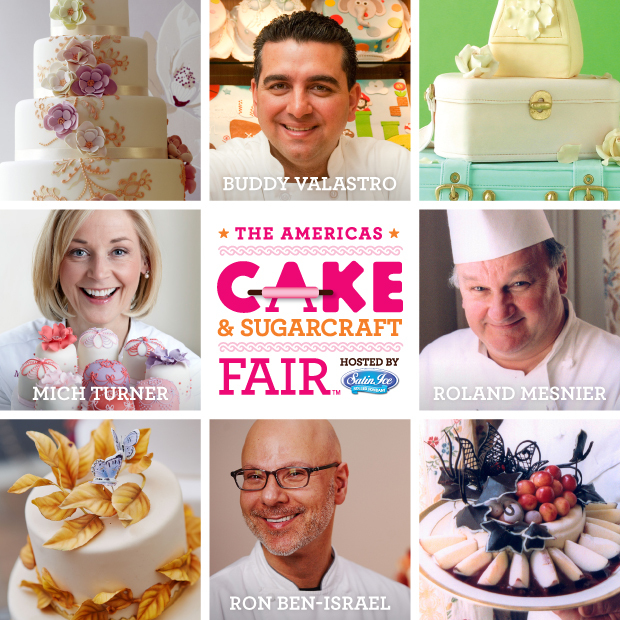 The goal with The Americas Cake & Sugarcraft Fair is to create an event that will bring cake artists together from throughout the Americas as well as all over the globe, and promote everything to do with cake, chocolate, and sugarcraft. We want to keep all events within the fair educational and entertaining. It is also important to me that we create an environment where the amateur can meet, talk, and learn from veteran professional. What will set this cake show apart from others? The size of the show: A floor space of 150,000-square feet makes this the biggest show of its kind; an anticipated 30,000 or more attendees; the fact that we have many events happening under the one roof; and it will bring a much wider demographic of people from retail bakery, the pastry industry, chocolate, in-store bakery, as well as the at home hobbyist baker; the individual events from the on-stage entertainment to the demonstrations, Fashion Show, Live Global Cake Challenge, Cake Competition; and judging is being run and managed by industry credited professionals. The cake world is increasingly going digital – classes, tutorials, online groups, etc. I know you recently redesigned the Satin Ice website to include more tutorials and sharing. What can a cake designer learn or see at your site that they can’t find someplace else? Our site focuses strictly on Satin Ice rolled fondant with a big emphasis on education. The supportive team behind the brand and our dedication to the craft of working with rolled fondant makes it a unique place to go for tips, advice, or to ask a question. 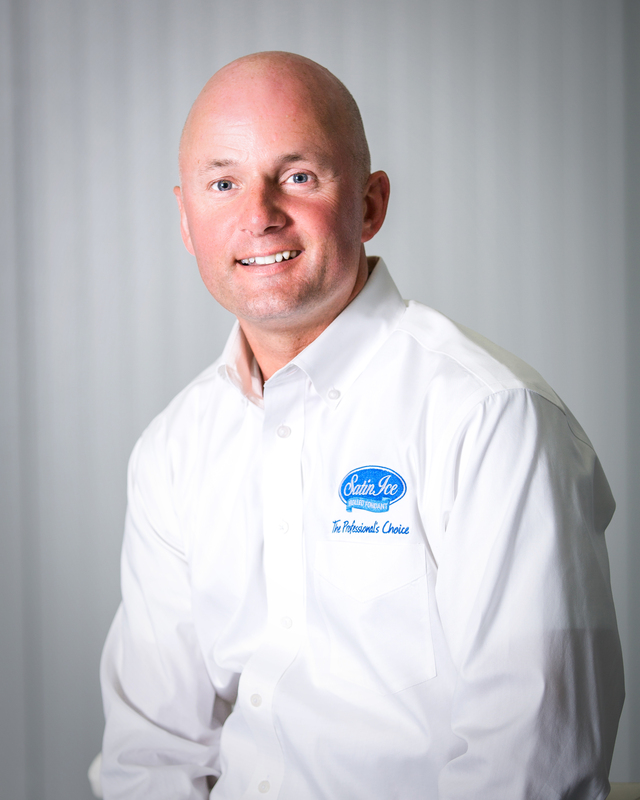 There is a constant focus on the educational aspect of classes, tutorials, and growing our Satin Ice ambassadors around the world who in turn provide further knowledge behind the Satin Ice brand. Fondant can be intimidating to someone just starting out in cake decorating. What advice would you give a new decorator trying out fondant for the first time? I would suggest taking a one or two-day basic course to get comfortable working with the product and for those seeking to make it part of their career, I recommend taking a job and working with an experienced professional as an assistant or intern to learn the craft hands-on. Fondant is also very clean and easy to work with and there is no end to its creativity. Cake designers are constantly pushing the boundaries when it comes to what cake and fondant can do. What is something you haven’t seen yet, but would love to see in cake? Or is there a texture or finish that you’d love to see replicated in fondant, but haven’t yet? Sometimes I think just about everything has been done in fondant but then I will see a new technique or design submitted on our Satin Ice Facebook page. I would like to see more work with our chocolate fondant. Everyone raves at the taste and workability of chocolate Satin Ice and it lends itself to so much. That is the beauty of rolled fondant, trends will come and go and there will always be people creating new looks and designs that will keep it interesting. Besides, who doesn’t love chocolate? What is the best piece of baking advice that anyone has ever given you? Mmmm, good question. I suppose when it comes to baking bread, pies, cookies the whole spectrum of baking including Satin Ice fondant cakes, I would say it is to always love the craft and enjoy what you are doing. My gram scales (for accuracy) and an extra-long good quality rolling pin. Some cheeses and a glass of wine to indulge after a long day. Registration is now open for classes with cake-greats such as Betty Van Norstrand, Marina Sousa, Toba Garrett, and more! i do not have websice yet as to my hold backs.i live in jamaica and for the first time i experience satin ice i was like wowwwwwwwww omg i couldnt believe it it was so wonderful n lovely to work with.i wish i could come to the fair too lol but i guess things are ok for me now but cake on my cake family cant wait to see pictures.didnt get to finish school n all but some day.nuff love and respect and for all those wondeful work that you guys are doing.respect fr jamaica.satin ice to tha worllllllllllllllllllllllllllllllllllllllllllllllll.keep doing what you guys do.you all are awesome and wonderful mr oriley thanks for satin ice genious! !peace and love my cake family sending my love and support fr jamaica.